Hotel Ibis has 165 well-furnished and air-conditioned Standard rooms; free Wi-Fi available in each. 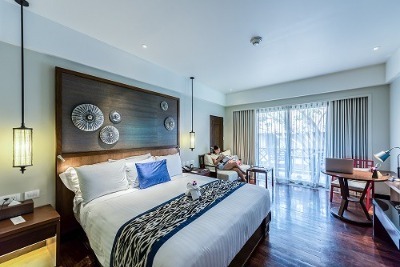 The rooms have sweet Ibis beddings, a coffee machine, an LCD screen TV, en-suite bathrooms and full-length windows. Each bathroom has a shower and a hair dryer. The exquisite parquet flooring definitely assures you of sweet steps of comfort, making you as relaxed as possible. Children: Babies and kids stay free. Q: Does Hotel Ibis Hotel offer free Wi-Fi? A: Yes. Free Wi-Fi is available in each room. Q: Does Hotel Ibis Hotel have a swimming pool? A: Yes. It does have a swimming pool. Q: Does Hotel Ibis Hotel offer complimentary breakfast? A: No. It doesn’t offer complimentary breakfast. Q: Is there a fitness centre/gym at Hotel Ibis Hotel? A: Yes. There is a fitness centre/gym. Q: Does Hotel Ibis Hotel have a restaurant? A: Yes. A restaurant is available and it provides local and international mouth-watering delicacies. Q: Does Hotel Ibis Hotel offer airport pickup or shuttle services? A: Yes. It offers airport pickup or shuttle services. Q: Does Hotel Ibis Hotel allow smoking in rooms? Q: Does Hotel Ibis Hotel have an event centre/conference rooms? A: Yes. Conference rooms are available for a fee. Q: Does Hotel Ibis Hotel accept cash, cheques, cards and bank transfers? Q: What is the check in and check out time at Hotel Ibis Hotel? Q: Does Hotel Ibis Hotel have hair dryers? A: No. It doesn’t have hair dryers. Hotel Ibis Lagos Ikeja is a top-class hotel in Ikeja, Lagos. I enjoyed every bit of my stay at the hotel. Such a lovely place! The ambiance is just beautiful and oozes class. The staff are very hospitable and the rooms are clean, clean towels and nice bed sheet. I am truly impressed by the quality of service on offer at this hotel. I actually booked the hotel for one of my clients and he said that he had a good stay there. There were no issues for him checking in and out of the hotel. My stay at the hotel was pretty good but not totally good. Goo d facilities were available. The staff were nice and friendly. The environment was properly cleaned and maintained. However, I think that the laundry fees are too exorbitant. The hotel could charge less and still give value. I had a good stay though. My stay was okay. In fact, it was perfect.My check in and check out were seamless. Everything was just as it ought to be. I would not mind staying at the hotel again at a future date. Have nice pictures of Hotel Ibis Lagos Ikeja?